Salmon Pasta With Tomatoes, Capers, And Mushrooms. Stock Photo, Picture And Royalty Free Image. Image 19414299. 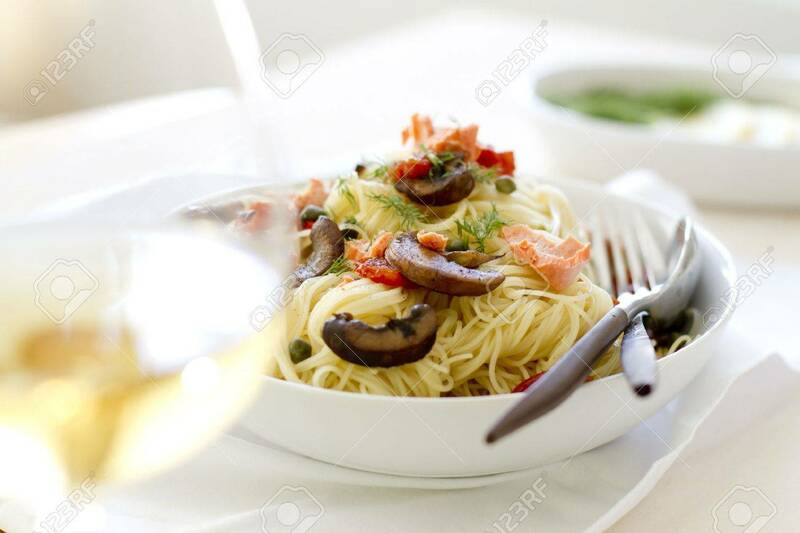 Stock Photo - Salmon pasta with tomatoes, capers, and mushrooms. Salmon pasta with tomatoes, capers, and mushrooms.